A very gentle, heartwarming book about finding your way in the world. Dora is a floater. She floats through life with no real ambition or goals. Incredibly frustrating to her grandmother, who has raised her since her parents died in an accident and has tried for years to guide Dora into a career. At the moment Dora specializes in working at the University coffee shop while she advances up the graduation ladder with a series of "vagueness studies". All this comes to a crashing halt when she receives the call that her beloved grandmother is in the hospital after suffering a stroke. Dora rushes to be by her side. She decides to keep her grandmother's vintage clothing shop open while she recovers..if she recovers. While in the shop she discovers a sweet secret. For years her grandmother has been writing stories about the vintage dresses and keeping them tucked away. When one of these special dresses is bought, the story about them goes with them. 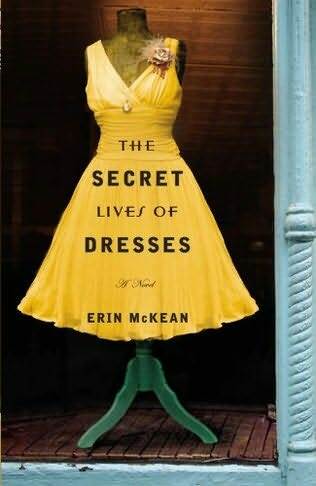 The dress stories are not integral to the story itself, but a sweet side story on it's own. The main body of the story is Dora and what will she choose to do with her life, when and/or if her grandmother returns home. Welcome to the Dew Book Review Section! Welcome to the Book Review Section at the Dew! The Dew tries it's best to have a review online as close to the publication date as possible, depending on the number of books waiting for review. Please note, book reviews are the Dew's "business". The Dew does NOT post it's reviews on other sites. Please do not request that we do so. Thank you. BUT, if I review your book, you may feel free to share it wherever you wish! A few of my favorite Southern Bookstores, all of which hold wonderful author events on a frequent basis.